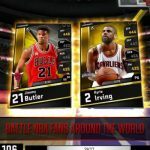 My NBA 2K17 is now available for Android and iOS devices, and just in case you missed our first strategy guide, this is 2K Sports’ “companion app” for NBA 2K17, a mobile gaming experience for fans of the franchise, but with a totally different set of mechanics. 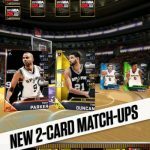 Instead of a detailed simulation of the upcoming 2016-17 NBA season, which kicks off next month, the game offers a TCG-like experience, where you need to build up a deck of players and play those cards in a variety of game modes. In order to do well in these game modes, you’ll need a strong deck of cards, one that has the rarest cards available. These cards are classified in the game as Ultra Rare, Epic, and Legendary, with the latter being the rarest of the rare, and the most powerful type of card available in the game. But we won’t waste much more of your time, as we have got a second My NBA 2K17 strategy guide, one that shows you how you can add to your collection of Ultra Rare, Epic and Legendary cards. Don’t expect to get any Epic or Legendary cards if you’re still stuck in Super Rare or Ultra Rare. That’s not how the game works, so if you want to improve your chances of getting the rarest available cards in this game, you should focus on making it to the highest tiers, and doing so as soon as possible. That would require playing tons of Quick Games, and using your more common, less impressive cards to train your best cards. It may take a lot of work and you may need to be patient, but it would be all worth it. 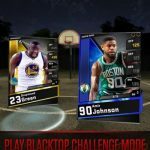 As we said last time, My NBA 2K17 comes with a new game mode in the Blacktop Challenge, and the main benefit of playing this mode is the hundred-plus picks you can make as a reward for being one of the top performers. With more than 100 picks, there’s sure to be a couple there that are among the rarest, so go play the Blacktop Challenge, and don’t spend too much time on those Quick Games if you’re trying to boost your deck with some Ultra Rare, Epic, or Legendary cards. However, there is one bonus tidbit we should be sharing regarding the Blacktop Challenge. Rewards are based on the tier that you’re in, so set your expectations accordingly when playing in this mode and using your 100-plus picks. 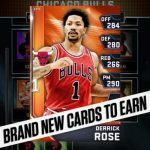 Aside from the Blacktop Challenge, you can also take part in the game’s Season Mode in order to get more Ultra Rare, Epic, or Legendary cards. Of course, you have to rank highly in season play, be in a high tier to get better rewards, and have a very good lineup of players in your deck. And you should also have a lot of energy cards, and play the mode at the right time of the day – best time to play would be in the morning, as that would allow you to log in frequently and recharge your players. Contrary to the name of the mode, seasons are actually the fastest way to get Ultra Rare cards or better. We did mention Reward Points, or RPs earlier – that’s the currency you’ll need in order to bid for cards at the Auction House. You can also use those RPs to buy card packs, with the Big Player Pack coming in at a cost of 10,000 RPs. That could give you up to two Epic players, though the bad thing about this option is that you are NOT guaranteed an Ultra Rare or better; you may end up with no Epic cards, using the above example! The Foil Packs offer better rewards, though that’s going to cost you real money, unless 2K Games makes them available for free in future promotions.